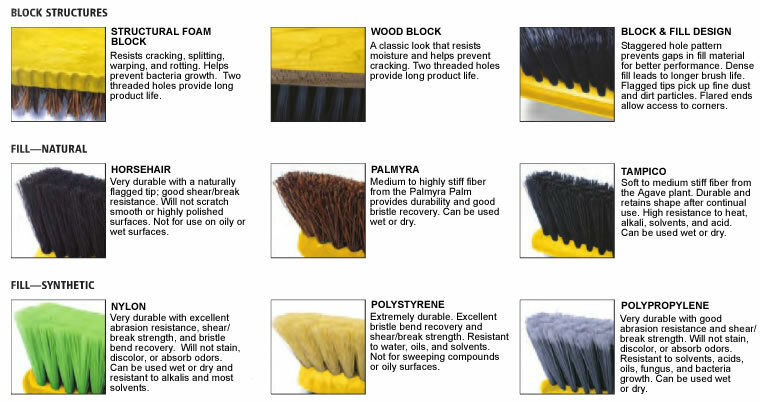 complete range of blocks and fill types to clean virtually any surface. 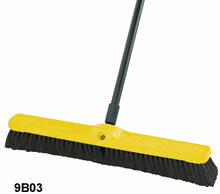 FINE FLOOR SWEEPS - Designed to pick up the finest debris. 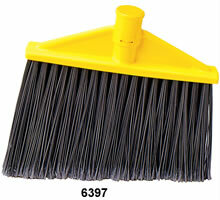  Available in flagged polypropylene or blended horsehair/tampico for removing even fine dirt and dust. 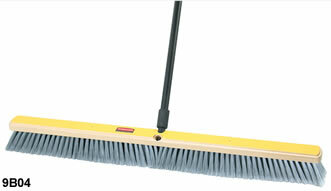  Ideal for highly polished or waxed floors.  Two-threaded handle holes on either side of block for even wear.  Angle brace Model #9B71 adds support and stability.  Handles sold separately (see below). MEDIUM FLOOR SWEEPS - Designed to round up heavier dirt from multiple floor surfaces. rough wood and smooth floor surfaces. Reliability for those industrial-strength jobs. designed for use in the most demanding industrial applications. 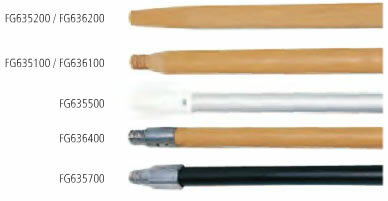 Available in threaded or tapered tips. 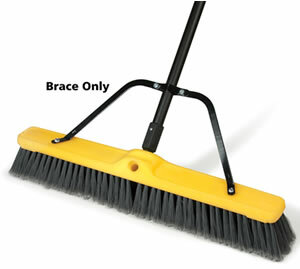  Brace only; does not include broom or handle. 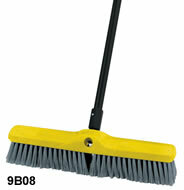 Designed for rugged indoor/outdoor cleaning. 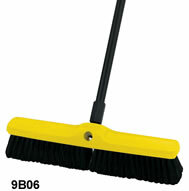  Remove fine dirt from even or rough surfaces.  Hand-selected, heavy-duty lacquered pine handles. 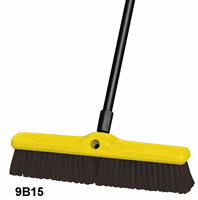 Ideal for cleaning hard-to-reach areas. 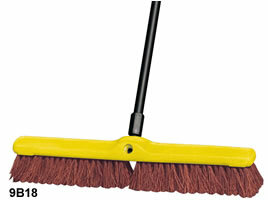  Cut and shaped for easy sweeping. 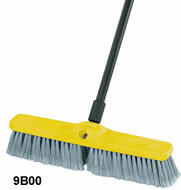  Permanent fusion-set bristles won't pull out. 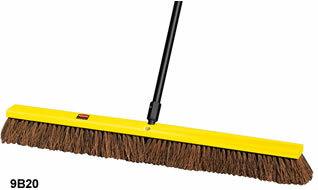 Broom, Shop Brooms, Store Broom, and Store Brooms from your complete source for material handling equipment.